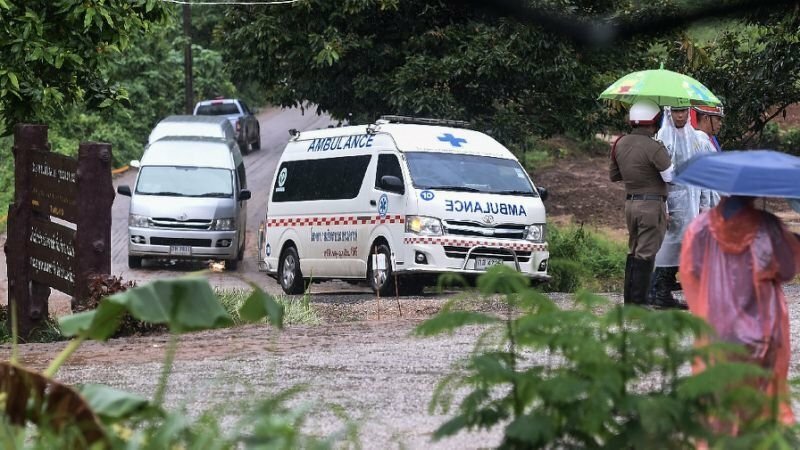 CHIANG RAI: The unprecedented mission to evacuate the “Wild Boar” football team from a flooded Thai cave finished yesterday (July 10) after the final four boys and their coach were extracted by elite foreign divers and Thai Navy SEALs. Divers are forced out of the cave by rushing floodwaters as they try to reach an air pocket called “Pattaya Beach”, where the boys are believed to have retreated. Divers inch further in, as an operating base is set up inside “Chamber Three” and hundreds of air tanks and other supplies are pulleyed in. Much-needed food and medical supplies – including high-calorie gels and paracetamol – reach the boys as rescuers prepare for the possibility that they may remain in the cave for some time. Thailand’s Navy SEAL commander says oxygen levels inside have dropped. He warns the window of opportunity to free the youngsters is “limited”.